Bangladesh Nationalist Party - BNP postponed its scheduled public rally at Suhrawardy Udyan on Feb 8 due to the ongoing Amar Ekushey Granthomela (Book Fair). Instead of public rally, the party will now hold a protest rally at the Institution of Engineers, Bangladesh on the same day, marking the first anniversary of jailing of its Chairperson Begum Khaleda Zia in a graft case. Besides, the party's different units across the country will hold similar programmes the following day. BNP senior joint secretary general Ruhul Kabir Rizvi came up with the announcement at a press conference at the party's Nayaplatan central office on Monday (Feb 4), local media reports said. "We had earlier announced to hold a rally at Suhrwardy Udyan on February 8 demanding the release of our chairperson Khaleda Zia and our arrested other party leaders and activists. We've postponed it due to the Book Fair. We've decided to stage a protest rally on the same day at the Institution of Engineers, Bangladesh," he said. Earlier on Jan 29, the party announced to hold the public rally in the city. 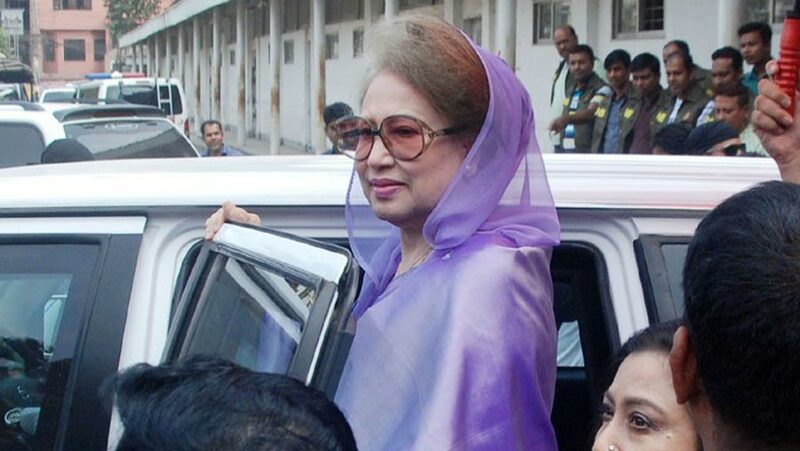 On Feb 8, 2018, Khaleda was sent to Old Dhaka Central Jail after her conviction in the Zia Orphanage Trust graft case.